Today’ Donkey of the Day goes to R&B singer J Holiday, who is upset at Cardi B, Beyoncé and Sza for their Grammy nominations. 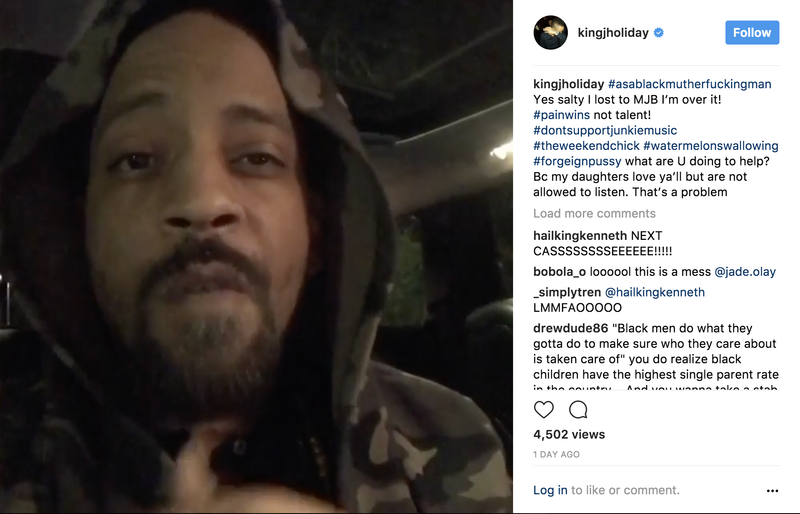 Holiday took to Instagram to vent that women should stop singing about pain because it’s disrespectful to Black men. News flash, most artist sing/ rap about the trials and tribulations they have endured in their life. Is the pain of losing to Mary J Blige in the 09 Grammy’s the reason you feel this salty J? Oh wait, that is the reason! He captioned the post “yes salty I lost to MJB” and goes on to state that pain wins over talent. This is false, and don’t see how the two correlate besides the pettiness but when you’re not relevant you need something so people can talk about you again. Do you think J Holiday has a point or is he living in the past? Lets us know what you think.